What are bridge roles in media organisations? If you work in a newsroom and you often find yourself acting as a point of contact or liaison between various teams and departments, even though it may not be an official requirement of your position, you are probably performing a 'bridge role' in your organisation. As Federica Cherubini, head of knowledge sharing at Condé Nast International, explained recently in a Nieman Lab prediction for 2018, 'bridge roles' are found at the intersection of various disciplines such as editorial, engineering and commercial, translating expectations and focusing on improving collaboration between these departments. At the Financial Times, Robin Kwong is head of digital delivery, which requires him to work closely with editorial, technology and product, as well as commercial, to set up structures and processes for telling stories differently and more digitally. Prior to this, his most recent role at the FT as special projects editor, as well as the previous one as interactive data journalist, both involved working across teams with different skills and expertise. "There's a need to bridge silos within departments as well as across them," he told Journalism.co.uk in a recent podcast. "Even within editorial there's a need for this type of roles. When I was previously on our interactive desk, I performed a sort of bridge role function of bringing news stories from our reporters into the interactive desk and figuring out 'is this something that we should be doing an interactive news story on?' and getting people to work together in that way." As a special projects editor, Kwong used project management and design strategies to identify ways the FT could plan, manage and execute larger, more ambitious journalism projects and "making this routine and have more people in the newsroom do it". To make the process more straightforward, he developed a mix-and-match toolkit with all the steps included in pitching, developing and delivering such a story or series. As well as using the regular meetings held by the editorial team or the different desks in the newsroom, and looking at the stories coming up in the pipeline, Kwong said a big part remains regularly catching up with people and being curious about what they are working on and what they are interested in doing. 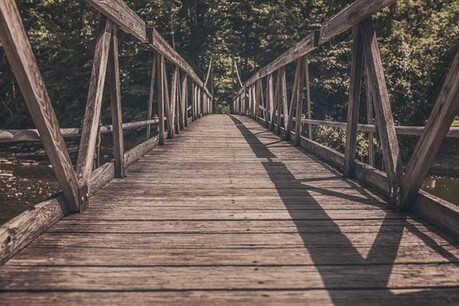 For someone in a bridge role, whether they are applying for such a position for the first time or transitioning from another job in the same organisation, there are some skills that would make it easier to encourage people to collaborate and go past the differences in expertise or way of working. "A lot of the skills that would be required are what we'd typically call soft skills – an ability to listen, empathise and understand that people could come from very different places in terms of their goals and motivation, and what's important to them might be quite different from you or the people you normally work with. "At the core of it is an ability for someone to not treat things as just 'that's not my job'. They should also be curious and not afraid to go up to a different floor or different department (...) for the first time, explain why they're there, why people should talk to them and how they can work together." Project management skills could also come in handy when trying to break down the goals for a project involving multiple teams, he added, as people have different workflows and time-frames for projects, which can vary significantly from editorial to product for example. Being able to clearly outline what a project aims to achieve, what the tasks are and who is responsible for each one will make it easier to explain the concept to others and get them on board. "Because the industry is changing so much as a whole, we're constantly discovering new ways of interaction and need for collaboration, but there is often a lag in time between someone doing a job informally and the organisational structures catching up and building that into a skill or an expertise within the company. "I think there will be a lot more demand for these sort of bridging functions at a strategic level of thinking about how organisations should be structured and how different parts of it should work with each other, rather than on a more tactical day-to-day level of 'here's a point of contact for getting something fixed'", Kwong said. Listen to our podcast with Kwong here.